Rabbi Plotkin, born and raised in Montreal, Canada, received his first rabbinic degree from the Lubavitz Central Yeshiva in Brooklyn, and his rabbinical ordination from the Rabbinical College of Canada. While completing his rabbinical and postgraduate studies he spent the last seven years leading services, and community outreach in Russia, Africa, Australia and Israel. In the United States, he spent much time visiting Torah Academies to teach, guide, and uplift the spirit of countless students, who seek his guidance and advice until today. For Hindy's growing up in the home of The Rebbe’s representatives to Detroit, Michigan, an open-home to all was a natural way of life. After graduating with honor from the Lubavitch Girls High School of Chicago, she received a diploma in education from Beth Chana Seminary in Safed, Israel. Her devotion and care for a brighter Jewish future endeared her to Jewish communities from Vancouver, British Colombia to Vilna, Lithuania, and all across the United States. With her exceptional love for children and energetic upbeat demeanor, Hindy spent three years teaching at Beth Rivkah Girls Academy in the heart of Brooklyn, and served as assistant director of the Roslyn Long Island Hebrew School. 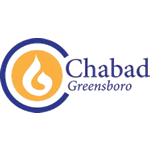 With their warm smiles and non-judgmental approach, the Plotkins service the spiritual needs of Greensboro Jewry.